Last year, I brought my “baby” to kindergarten and it was a hard moment for me to get through. This year, the first day of school was even more bittersweet. This is the last time my boys will ever be in the same school together. I love knowing that they are in the same building just in case they need something from their brother. 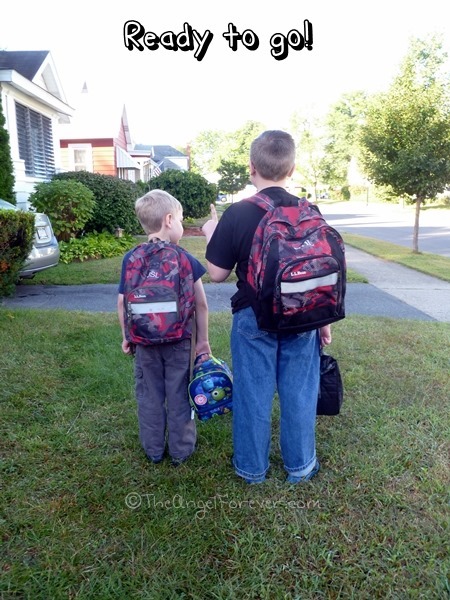 This morning, the boys were ready for school in record time. TechyDad stayed home with us to go for first morning drop off together. 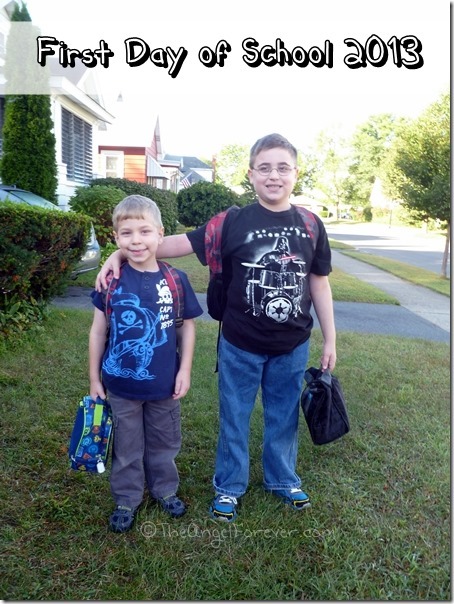 Before heading out, the boys posed for a traditional first day of school photos together. Here are my first and fifth grader before going to school. NHL was so excited to head back to school. 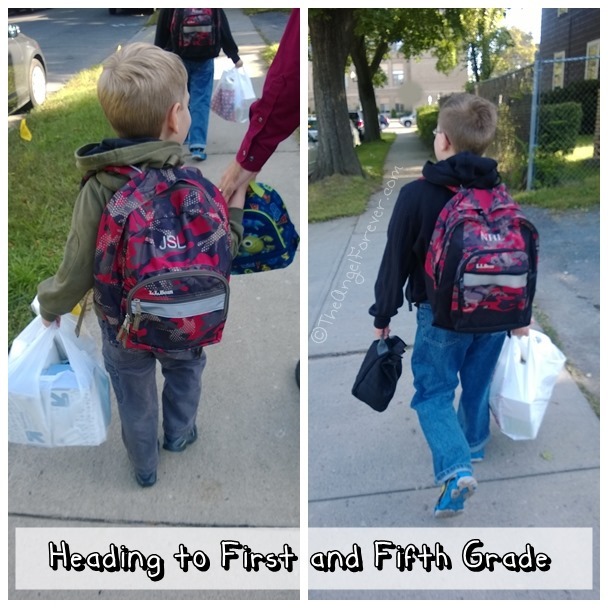 Routines are huge for him and school provides that. He was so positive and trying to perk up his little brother. These are items I will miss when they are not heading in the same direction next year. I will cherish watching them walk to the car together. I will try to savor the moments of them chatting with each other when walking into the building rather than focus on them bickering. While I sit in a house that seems too quiet, I have a few simple wishes on this first day of school. I wish for both of my boys to have a wonderful year ahead of them. I wish for NHL and JSL to learn, grow, and be the best that they can while helping others in the process. I wish for no drama and tears in the days ahead. Most importantly, I hope to see smiles and excitement about learning new things about the world around them. It will be a great year b/c you will make sure of that!